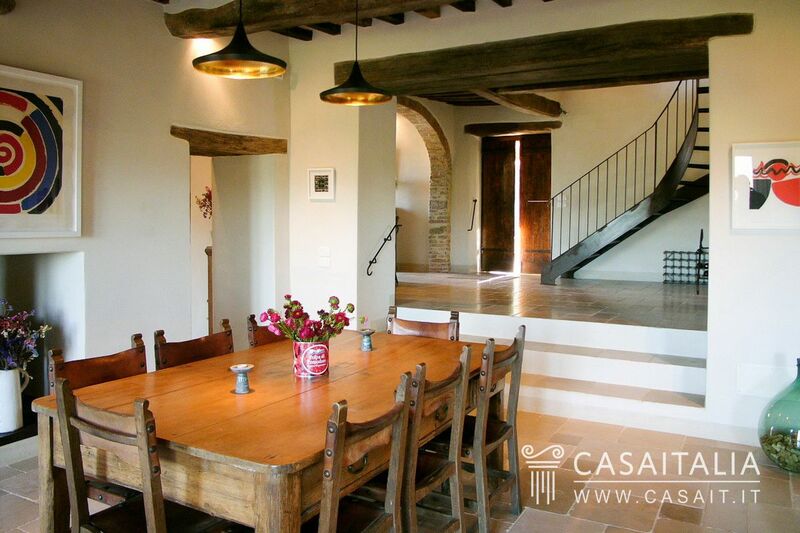 Restored farmhouse of around 320 sq.m, with large living areas, 4 bedrooms and 5 bathrooms, 70 sq.m outbuilding with living room/kitchen, 2 bedrooms and bathroom, garage and around 1 ha of garden. 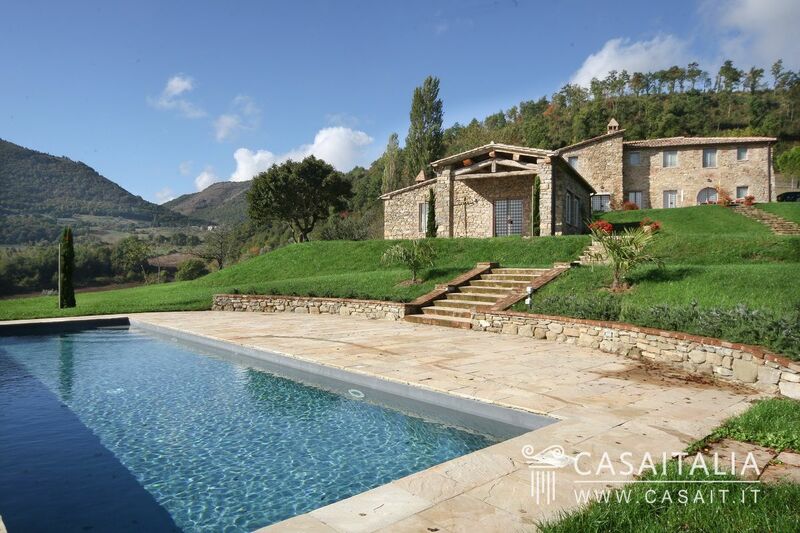 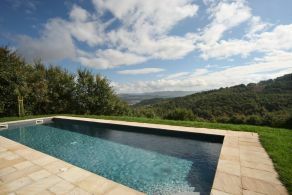 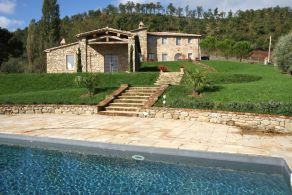 In a hilly and panoramic location just 3 km from Umbertide. For sale in a hilly location, just 3 km from Umbertide, Casale San Savino comprises a main farmhouse, outbuilding and garage, surrounded by a garden of approx. 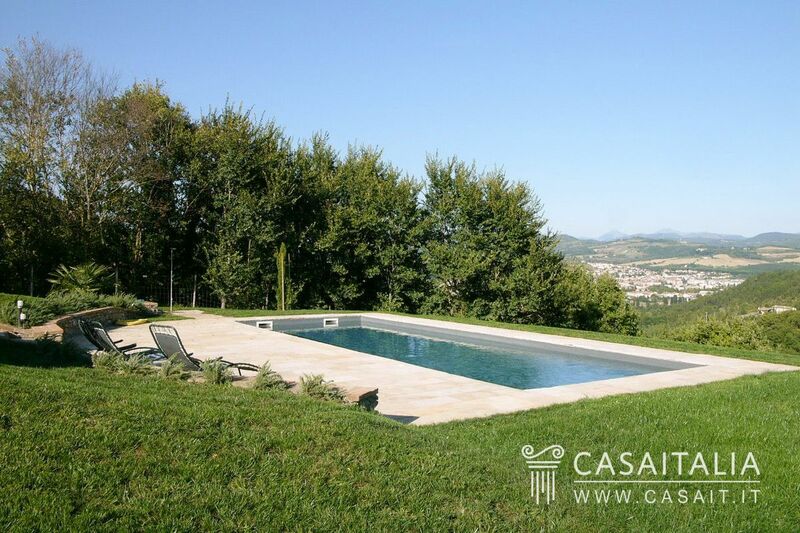 1 ha with pool. 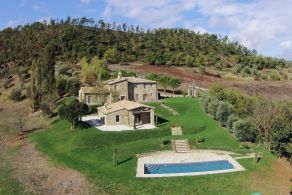 Umbertide, an ancient Umbrian city, is surrounded by unspoilt hills. Its location is perfect, as it is equidistant from some of the important Umbrian and Tuscan historic centres: Città di Castello is less than half an hour away (26 km), Gubbio (33 km), Perugia (36 km) and Cortona (41 km) 40 minutes and Arezzo about an hour away. . 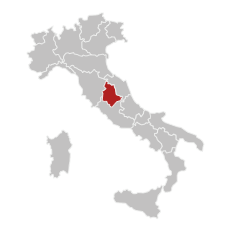 The nearest airport is Perugia, at 36 km (half an hour by car), while Ancona Falconara (127 km) and Florence airports (151 km) are less than 2 hours away by car. 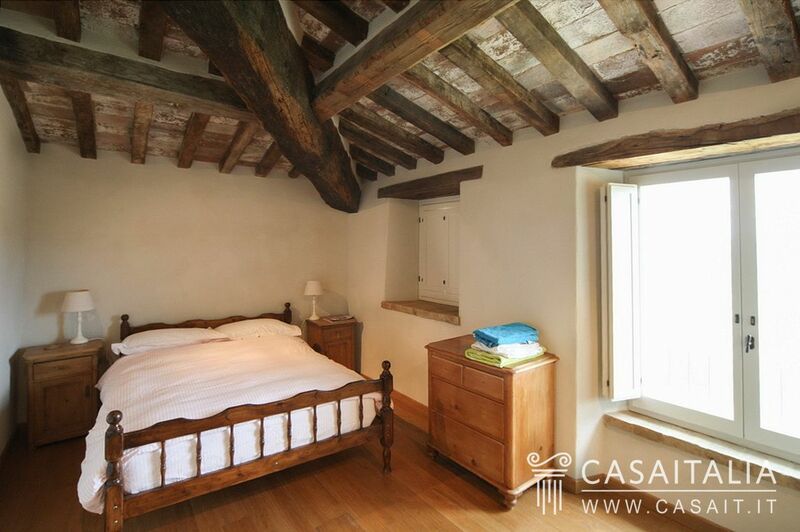 Casale San Savino has a total surface area of 320 sq.m over two floors. 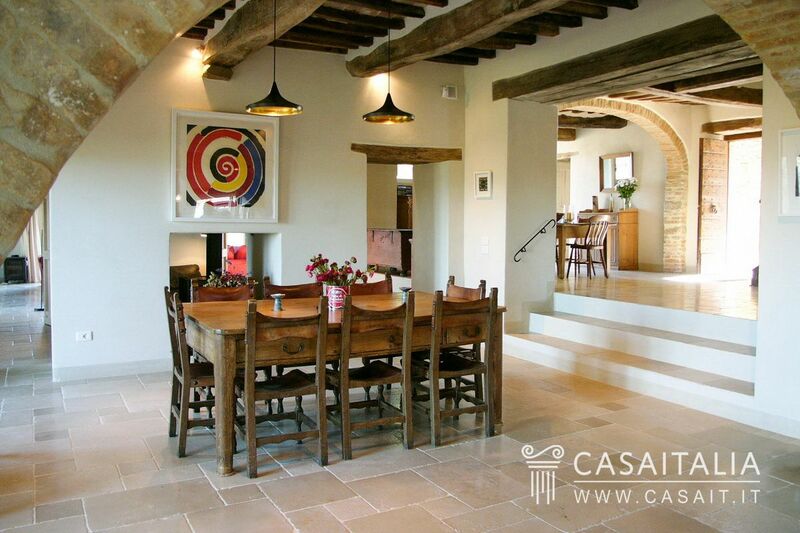 The ground floor is characterised by its big rooms which are connected by large openings. 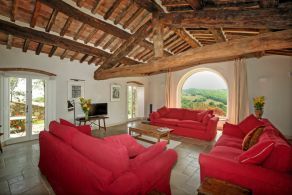 There is an entrance hall, kitchen with island, dining room with wood burning stove and a large sitting room with arched windows and a view over the surrounding hills. 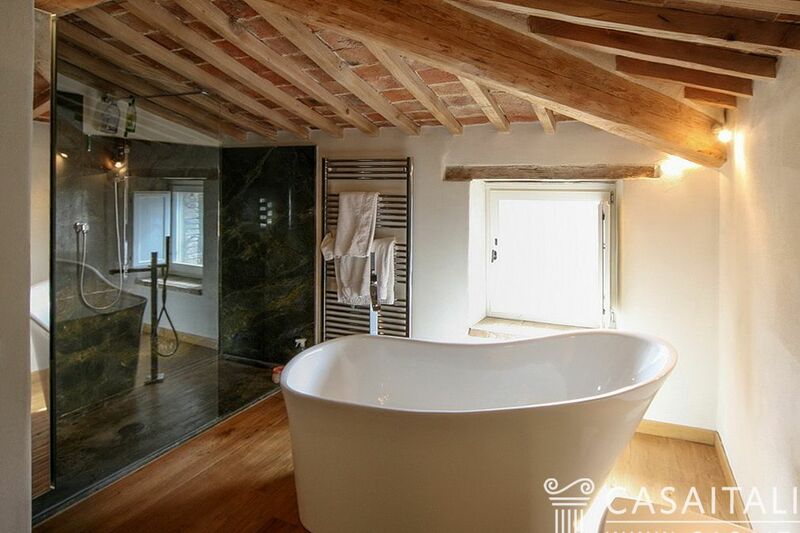 There is also a storeroom and a guest bathroom on the ground floor. 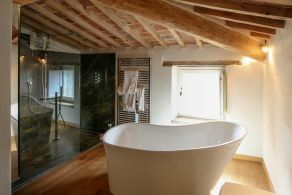 The sleeping areas on the first floor comprise 4 double bedrooms with en-suite bathrooms. 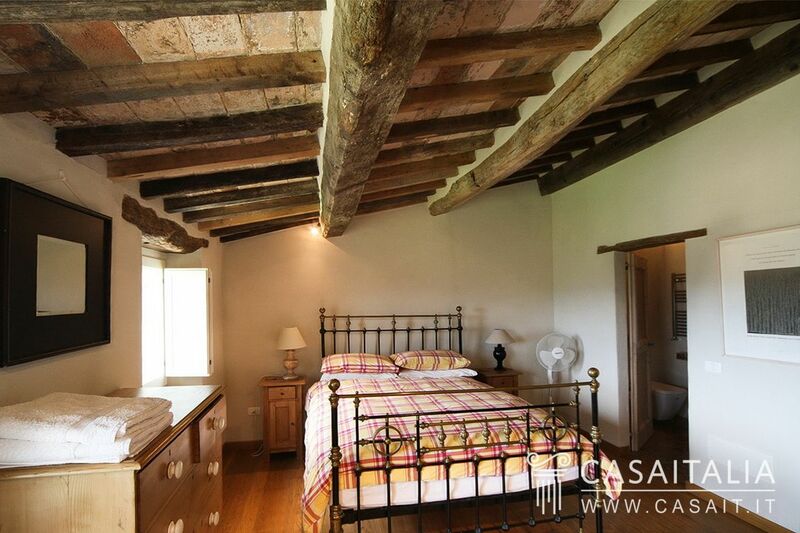 Opposite the main house there is an outbuilding, of around 70 sq.m in total, with a large kitchen/living room, 2 double bedrooms and a bathroom. 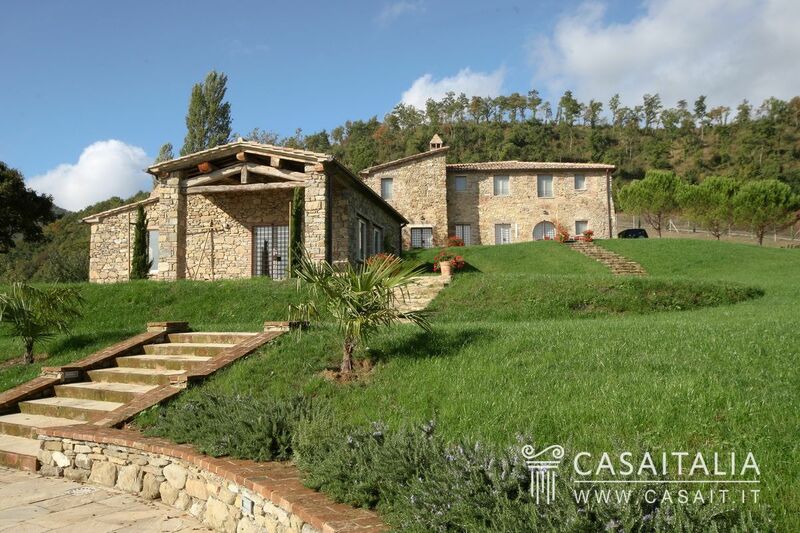 The property also has a garage next to the main building. 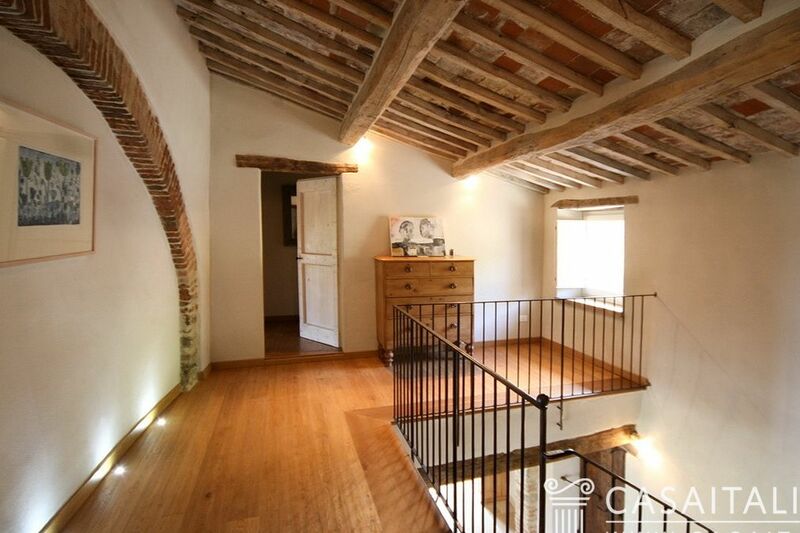 The buildings have been completely restored and are in perfect condition. Both inside and out, they have retained the original features typical to rural houses in the area, with the exposed stonework facings, tiled roofs and inside, the wood-beamed and panelled ceilings. 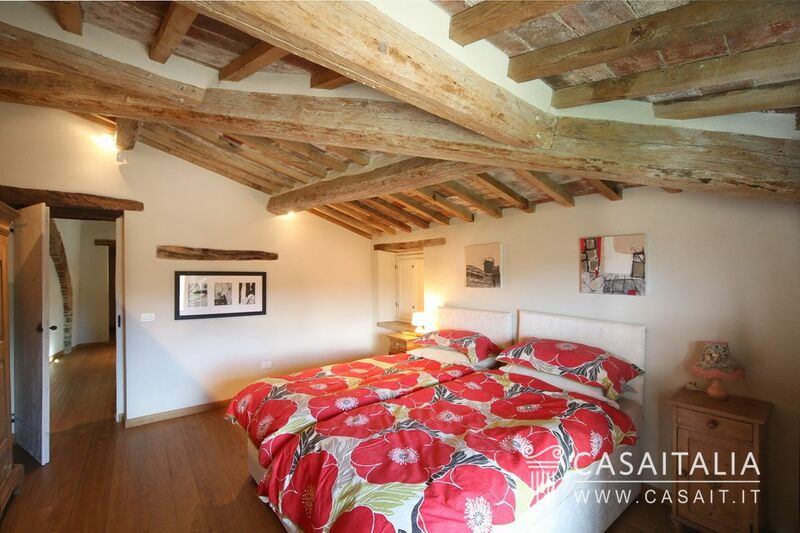 In the sleeping areas there is parquet flooring. 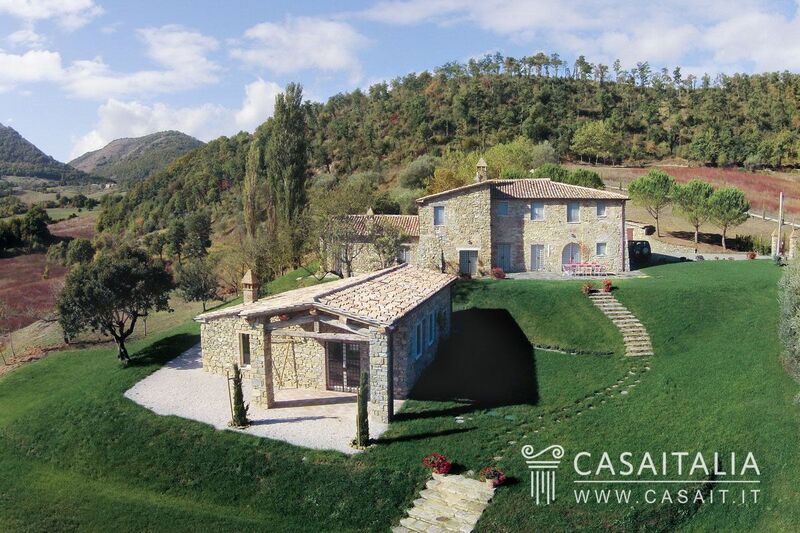 Casale San Savino is surrounded by around 1 ha. of private land, which is landscaped garden with an automatic irrigation system and with a 4.3 x 12 m swimming pool. 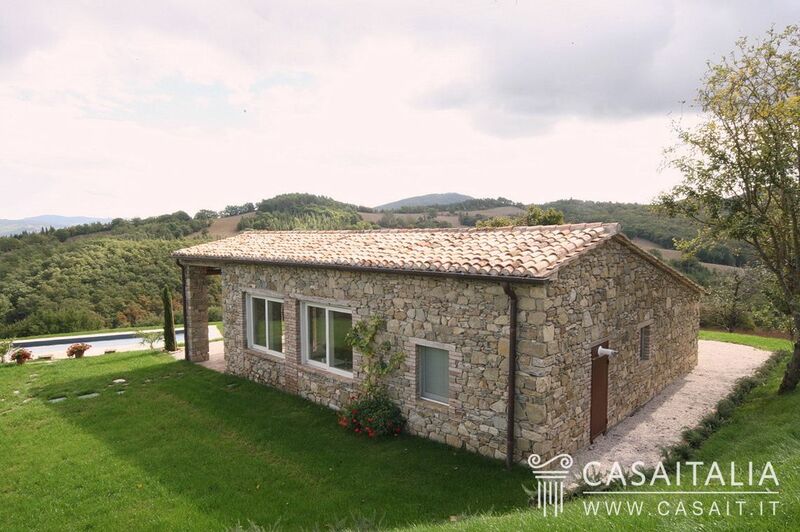 The property is ideal for those looking for a residence close to nature, in a hilly and secluded location but at the same time very close to a populated area which can fulfil all daily requirements (Umbertide is only 3 km away.) 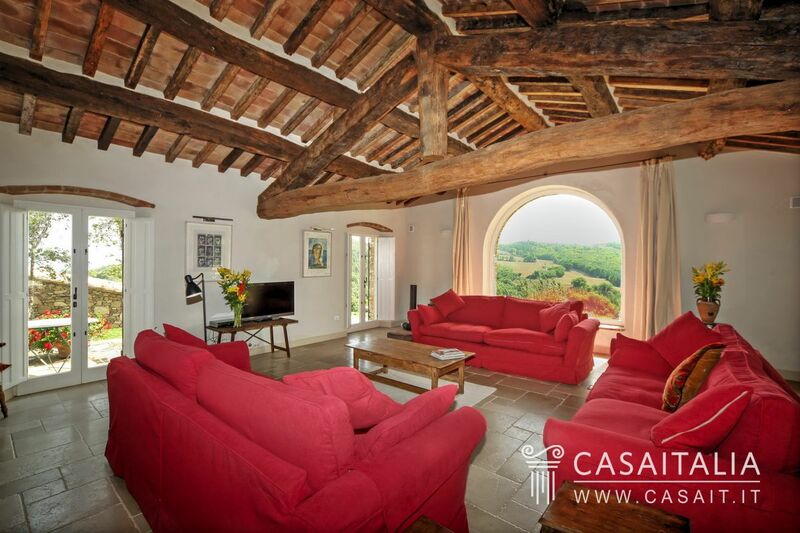 Casale San Savino is perfect both as a main home or as a holiday home, with the possibility of renting it out while not in use. 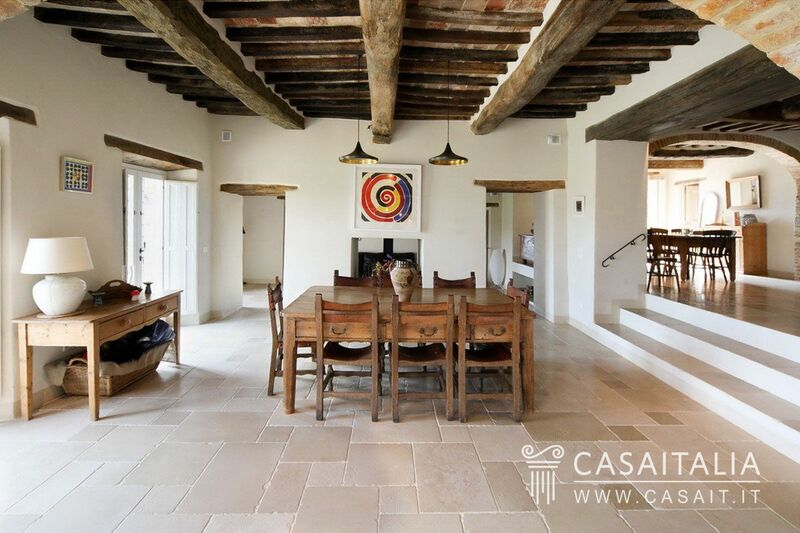 The outbuilding is also perfect for hosting friends and relatives while maintaining privacy.